“Gravel is in short supply throughout the world … and we use gravel to build all kinds of things, so people are looking for deposits,” she explains, in the podcast above. A new company has applied to do exploration on the gravel deposit at Lloyd Creek. While they offer the local area little benefit after the initial construction phase, the potential negative impacts are significant. 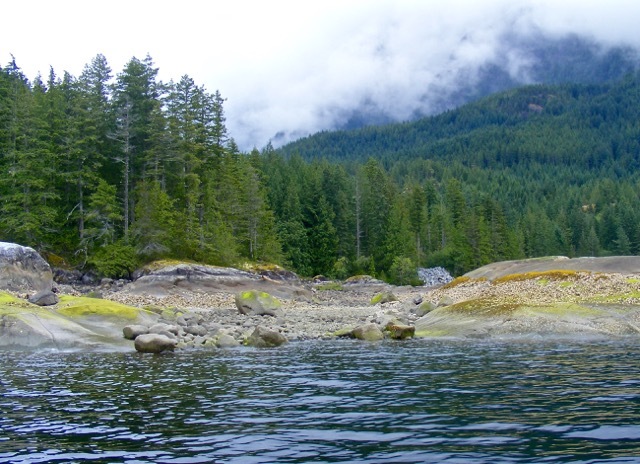 “Desolation Sound is really the jewell of the Mid Coast of British Columbia … There are these huge marine parks,” says Williams. They spread out from Price point, just south of Lloyd Creek, to the kayak heaven better known as Mink Island. She describes the area as a magnet for boating, camping and kayaking. The stores at Lund, Refuge Cove, Squirrel Cove and the Gorge supply them with gas, ice, groceries, alcohol and more. “If you want to go north from here, which some people do, you unfortunately have to go through some rapids. 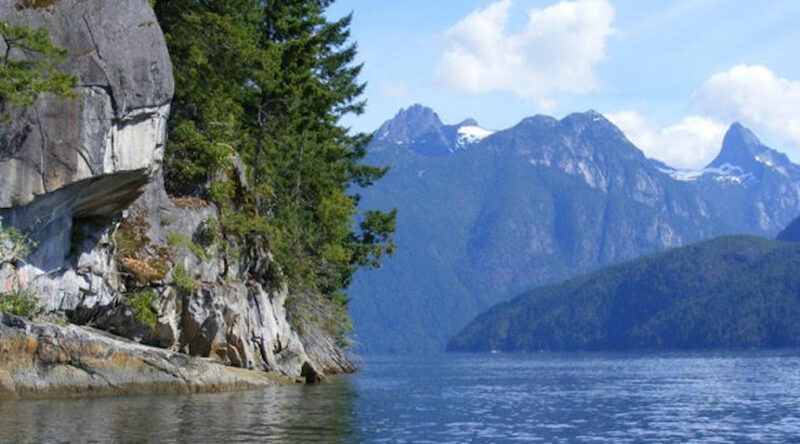 A lot of boaters do not like to go through rapids, particularly sail boats which are slow … One of the reasons people stay in the Desolation Sound area, is they do not have to do that,” explains Williams. She predicts that significantly fewer tourists would come to the area if an industrial scale gravel plant opens at Lloyd Creek. While the noise could travel as far as Seaford and Mary Point on the eastern shore of Cortes, it would be most keenly heard on the water. 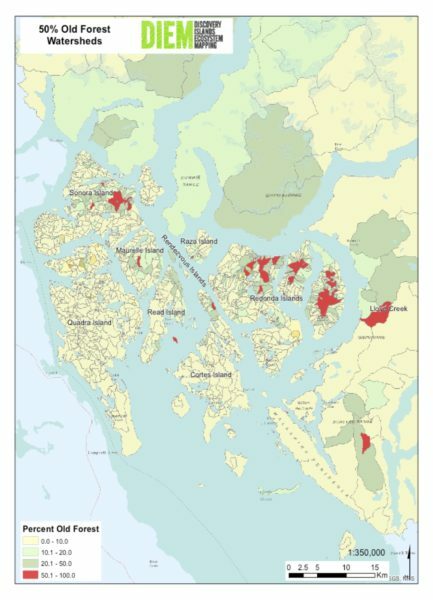 “This is the kind of thing that ecologically minded people would be really interested in because there is such a problem from the effect on fish, on the spawning of the fish, the fish moving through the channel to other areas – up into Toba Inlet etc,” says Williams. 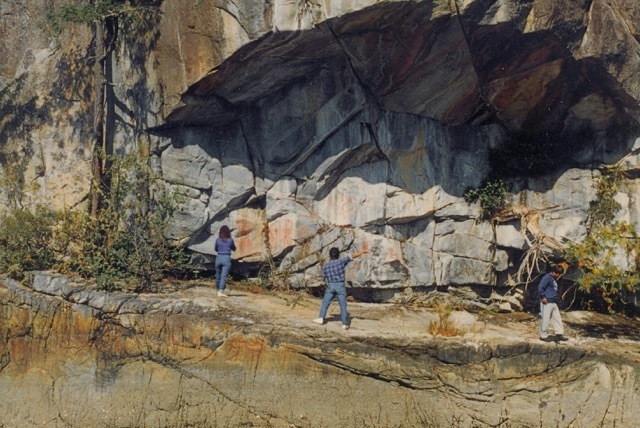 She also describes Desolation Sound as an important area for First Nations. 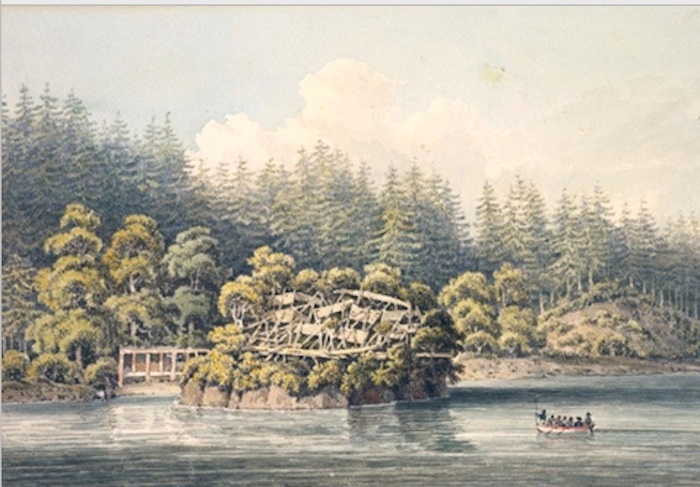 When Robert Humfray came up in the 1860s, he met First Nations people transporting fish from Forbes Bay to more southern locations, like Flea village in the present marine park. There are a lot of pictographs in Humfray channel, one of the most important being a well known sea serpent directly across from Lloyd Creek on East Redonda Island. In addition to this, Lloyd Creek has one of the remaining stands of old growth trees that has never been logged. While some of it is on flat ground, most is on slopes that are more difficult to access. These would need to be removed. The BC Ministry of Forests, Lands, Natural Resource Operations is expected to decide whether to issue a drilling permit today (March 25, 2019). For further information contact Judith Williams at 250-935-0194.